Town of Big Stone Gap Parks and Recreation has been awarded a 30 in Thirty Grant of $500.00 in the Recycling category. A 12-year-old boy who lives in the town of Big Stone Gap was surprised to learn that his area of Southwest Virginia has nowhere to recycle glass. Preston went to the Town Council to see what he could do to start a glass recycling program. Crushed glass can be used for flower beds, irrigation systems, cement mix, and other purposes. With the Council’s full support, he began raising funds for a glass pulverizer. 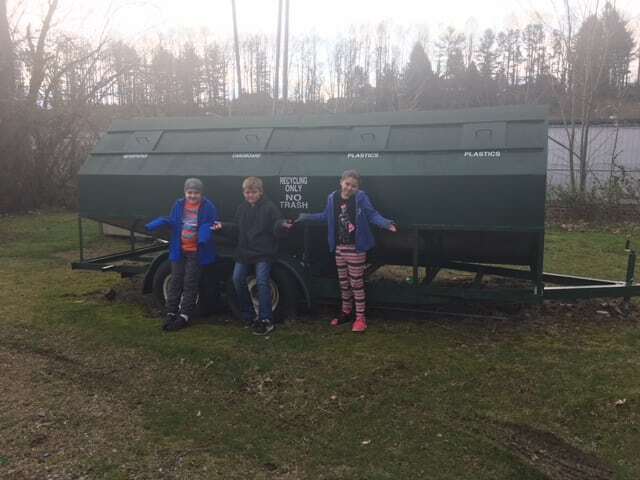 The Parks and Recreation in Big Stone Gap is responsible for recycling efforts, and offered space in the public works yard for a glass pulverizer, and submitted a grant proposal to Keep Virginia Beautiful to purchase bins to collect glass from residents. Parks and Recreation hopes to save over 100 tons of glass from the landfill in the first year of the glass recycling program. Since 2011, we have provided over $178,000 to fund 230 environmental projects and programs all across the Commonwealth, due to the generosity this year of our partners at Altria and Keep America Beautiful. Government, non-profit, civic and service organizations in Virginia were invited to apply for grants for $500 to $1,000 describing how they plan to tackle an environmental concern in their community regarding Litter Prevention, Recycling, Cigarette Litter Prevention, or Community Beautification.